SKB Corporation’s design engineers have expanded the Hunter Series of Cases with the 2SKB-5114 Hunter Double Rifle/Shotgun Case. 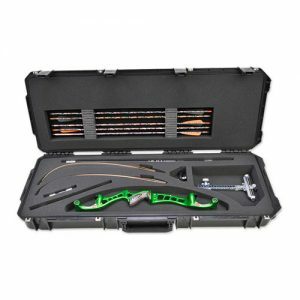 This double rifle/shotgun case offers great design and maintains SKB’s superior quality while responding to market pressures and price considerations. 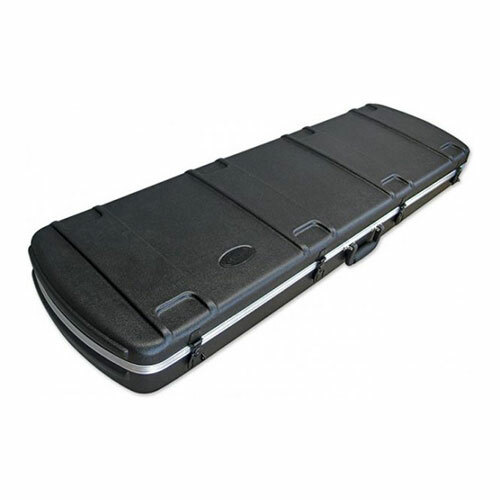 The exterior of the 2SKB-5114 Hunter Series Double Rifle/Shotgun case is manufactured of Mil-spec high density polyethylene plastic with moulded-in bumpers to protect hardware from impact and features an embossed rib and cradle pattern to provide strength and secure stack-ability. SKB’s “Perfect-Match” valance bending system provides a tight and secure fit to prevent dirt, dust and moisture from the interior of the case. The heavy-duty military style black butterfly metal latches keep the case closed and, may be locked with a customer-supplied padlock. With the convenience of designed-in wheels and an ergonomic sure grip recessed handle for easy manoeuvring and a cushioned carrying handle the 2SKB-5114 Hunter Series Double Rifle/Shotgun case combo provides secure and convenient transport. The interior details of this case were given equal attention to provide the best protection at an affordable price point. 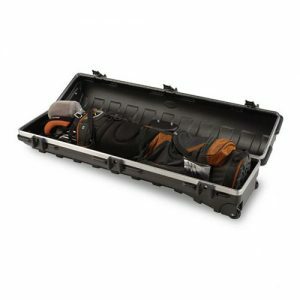 The interior cavity of the 2SKB-5114 Hunter Series Double Rifle/Shotgun Case will accommodate rifles and or shotguns up to 49″ long with a total width of 13 inches. The cavity features a fabric lining with moulded EPS lid and base liners for structural strength as well as rifle separation. Strategically placed compression foam pads in the bottom and lid of the case prevent cargo movement inside the case. 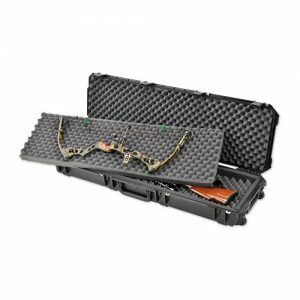 The 2SKB-5114 Hunter Series Double Rifle/Shotgun Case has a 5 year Warranty from the date of purchase against any manufacturing defects to the original owner.